Samsung’s semiconductor business is having a ball – first there’s talk of Qualcomm switching to Samsung foundries, now the SSD division has something to brag about. 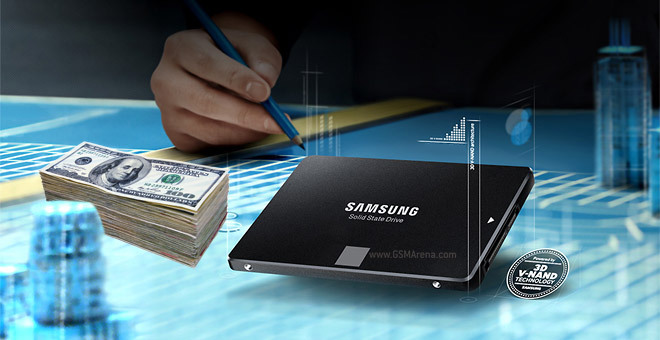 Last year Samsung SSDs had double the market share of arch rival Intel. The info comes from market research firm IHS. According to it, Samsung raked in $3.99 billion in sales of SSDs with 34% share of the market, while Intel took in $1.99 billion with a 17% share. Intel itself had a good year, its sales increasing nearly 50% to beat SanDisk with a small margin and maintain the #2 spot. Part of the success is attributed to Samsung’s 3D VNAND memory, a technology that increases storage capacity by stacking NAND cells on top each other instead of relying on a smaller manufacturing process. IHS is predicting SSD demand to continue to grow, going from 83 million units last year to 220 million units in 2019. 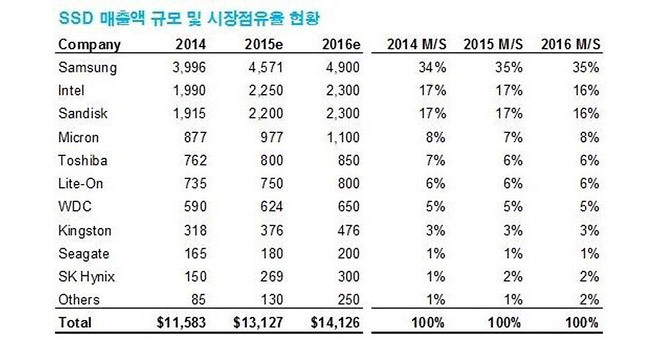 Meanwhile HDDs will shrink from 442 million to 389 million in the same period. So it will be a while before SSDs overtake their mechanical predecessors.